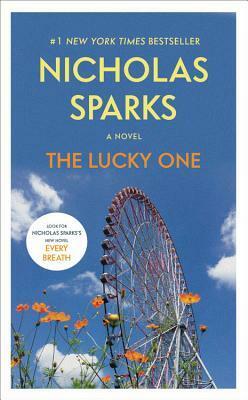 The Lucky One by Nicholas Sparks is a contemporary romance that was originally published back in 2008 but is now being republished. Nicholas Sparks is an author that most folks know you can count on to tell a beautiful story so this one has been on my TBR and luckily enough I was gifted a review copy and finally got the chance to read it. Logan Thibault is an ex marine that has a strange sort of mission to accomplish now that he’s back in the states. Logan had found a photograph of a young woman while in a war zone and when he couldn’t find the owner he kept the photo himself. When luck seemed to follow Logan every where his friend was insistent that the photo was good luck and he would need to repay the woman someday. Armed with only the photo and the few clues it offers Logan set out across the U.S. in search of the mysterious woman. When Logan finally found the small town where the photo was taken he finally was able to approach Elizabeth but the truth of his arrival seemed a bit much to tell a stranger so Logan held off but as the two grow closer will that be the wrong choice? As much as I’m not a huge fan of hiding something at the start of a relationship Nicholas Sparks still sold me on this romance anyway. Logan was such a deep character carrying the baggage of war with him that I couldn’t help but be behind him finding a HEA even with the lie of omission. Elizabeth also had so much in her past and present that both characters need to deal with that makes the suspense grow that I just couldn’t stop turning the pages. Then to top it all off we have Elizabeth’s son and Logan’s dog giving so many aaawww moments I just couldn’t help but fall in love. Definitely a great story from this great author. I received an advance copy from the publisher. I am glad you got a chance to read this one Carrie. I really liked it as well. Great review.